Using any gadget on a bike is pretty dangerous. But it makes sense that you might want driving directions while biking. There's tons of GPS and mapping tech out there, let's put it to work, right? Hammerhead is on it. The company just raised $190,000 through a Dragon campaign to mass produce their portable device that clips onto any bike handlebars. 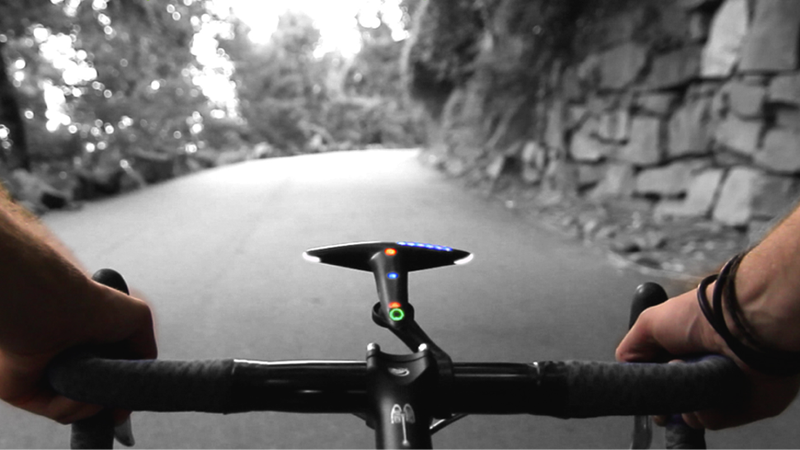 It syncs with Hammerhead's mapping app (iOS or Android ) that plots your route, and then it uses colored lights to display directions on your bike. And since the whole system is solely designed for biking it emphasizes whatever route is shortest while still being safe, including short cuts and bike paths that you couldn't take with a car.